There many inhabitants in the Caldera de Taburiente. We were lucky too meet quite a few. I tried to take pictures of cranes around my hometown but they are very shy and just looking toward their direction often is enought to make them leave, so the only ones I got where those two from the Zoo in Frankfurt, that tend to show up when it is feeding time for the sea lions. Here we go… all natural, an all wild crane from the Caldera. 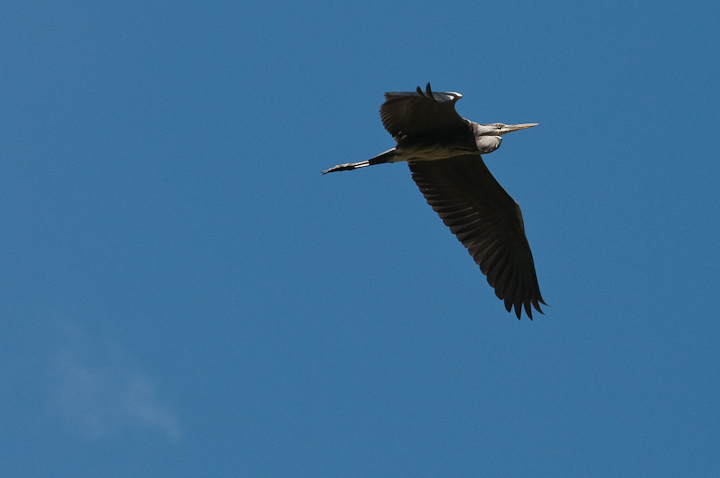 EDIT: I am still learning and so errors are for sure to be made… this seems to be heron, not a crane.